What do you think of these Reusable Travel Food Containers? Bring your favorite snack on the go with these reusable snack bags. 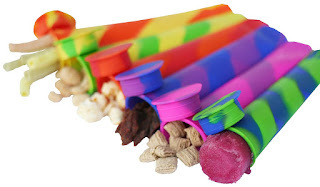 Use it to carry nuts, granola, jerky, chips, popcorn, cereals or anything you can think of. Make Popsicles, ice cream, yogurt - or even bake your favorite snack cake in the oven right inside the snack bag. Take them on hikes, to school, travel, work or anywhere you like to bring your snacks. Perfect for kids, adults or seniors for travel.